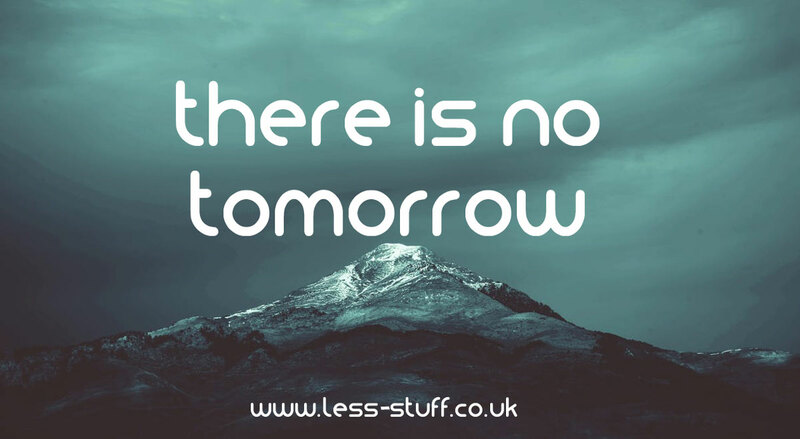 Remember the saying ‘tomorrow never comes’? This post is a reminder that there will never be the perfect time to get something done. In our hectic and complicated lives, the planets rarely align in such a way to make the thing you are putting off any easier. Huge tasks can be overwhelming to the point of paralysis. Here are some strategies to make tomorrow happen. You know all this already, it is not rocket science but sometimes it helps to have a reminder that it will all be ok. I need to dig out an important letter. It is either filed or in the pile of paper waiting to be filed. The files are all kept in 2 big metal fireproof boxes at the back of the cupboard of doom. I have to open the door, move the vacuum cleaner out, pull a box out of the way and then drag out the heavy file boxes. This is all starting to look a lot less daunting now. The heavy boxes are a nuisance but they are not too heavy for me, if they were I could ask for help. It will all be ok. Most creative processes produce some kind off mess. From the very messy way we reproduce and give birth down to getting a bit of flour on the floor when we are baking. It is difficult to get a lot of things done without making a mess. If the disruption upsets you then here are some ways of minimising it. Put things away again – 1 minute max is all I need to put the hoover back into the cupboard. Hide works in progress. Find a box, cover with a blanket, encourage a cat to sit on the mess in a decorative manner. If you break things down into small goals there will usually be less mess overall. I’m a huge fan of decluttering in 5 minute bursts by picking out things that are useless, instead of overhauling and purging everything. If you want a walk through of the easiest way I know to declutter start here. I might not find the letter first time. I need to find it though so I will keep looking. Worrying about it and putting it off is going to make the chances of finding it even slimmer. If I really cannot find it I can phone up and ask for a copy. It is all going to be ok. I wish I didn’t have to go through the hassle of finding the letter. When I do find it, it will make life easier, I need it to help me move something forward. No one else can do this for me. I just need to get it done. What is the bare minimum you can do to move you towards whatever you are putting off? Any moves towards a goal will eventually get there and slow and steady wins the race. You can do this, it is all going to be ok.